Welcome to our weekly digest of all that’s happening in London’s food and drink scene. This week has seen the first batch of restaurants open at the Broadgate Circle development, which is set to become a major foodie hub for the City by the time it’s complete. Yesterday saw branches of French restaurant Aubaine, pizza group Franco Manca and Aussie coffee shop Beany Green arrive, while today marks the opening of Lebanese eatery Comptoir Libanais and gastropub The Botanist. A branch of ramen restaurant Shoryu opens tomorrow, and another four venues will also bed in before spring is out — including a sister site to Soho’s dim sum and tea house Yauatcha, and an eponymous Spanish restaurant from José Pizarro. The team behind Maida Vale gastropub The Truscott Arms — which we’ve rated as one of the best Sunday roasts in London — are expanding with a wine bar in Belsize Park. The Truscott Cellar will open in June and serve small plates of British food along with a lot of vino. The pub’s chef, Aidan McGee, will once again be at the helm and dishes will include smaller versions of many of The Truscott’s classics, such as slow braised beef cheek with smoked mash. 2011 MasterChef winner Tim Anderson hasn’t had much luck finding a permanent site for his Japanese restaurant concept Nanban, with recent deals falling through — but we hear he’s now close to signing a lease. In the meantime, he’ll be popping up at Islington’s United Ramen this weekend and next. He’ll be cooking six dishes from his new cookbook Nanban: Japanese Soul Food including Nagasaki chanpon ramen and obi-ten mackerel scotch egg. He’ll also be cooking alongside the United Ramen team for two special events this month, preparing ramen with French influences on 21 April and Caribbean influences on 28 April. Book tickets in advance. London’s first ever members-only coffee shop has launched in Holloway. SL28 — which is named after a Kenyan coffee variety — is based in a hip office block and is open only to those who work in the building and those who pay £10 a month for membership. In return members get wifi and a cool place to work along with three free coffees a month, which means the cost is almost covered. It’s not just any old cuppa, either — SL28 takes its coffee very seriously and stocks only the very top brands. Just as Gordon Ramsay is due to open a second branch of Mayfair’s Maze Grill in Chelsea next week, his restaurant group has revealed plans for another one down the road. Next week the first of these Maze Grills will open on Park Walk just off Fulham Road, while early next month the chef’s Foxtrot Oscar restaurant on Royal Hospital Road will also be relaunched and rebranded as a Maze. Gordon Ramsay has another Maze restaurant in New York. This week has seen the launch of Stevie Parle’s latest restaurant Craft open in Greenwich, following on from his sites Dock Kitchen in Ladbroke Grove and Rotorino in Dalston. Alan Yau’s very long awaited ‘Chinese gastropub’ The Duck & Rice has opened on Soho’s Berwick Street, and Kentish Town pub the Bull & Gate has relaunched. 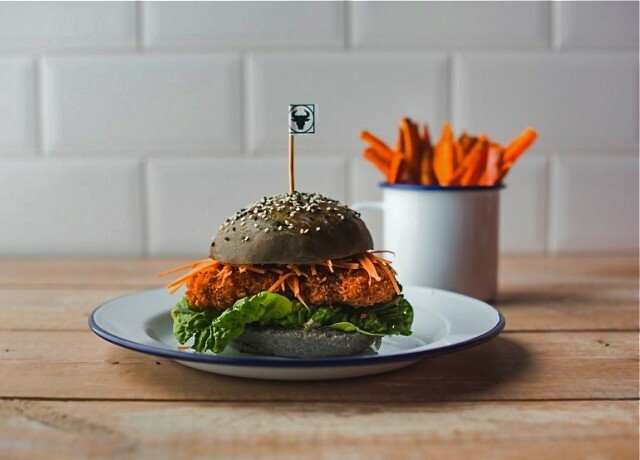 Today sees Circle Pizza Co take up a long-term residency at Hoxton Square Bar & Kitchen, and tomorrow rotisserie chicken and whisky restaurant Bull In A China Shop launches on Shoreditch High Street — among its offerings are buns made with charcoal. Next week’s openings are east London-heavy as North African grill restaurant Berber and Q opens in Haggerston, Carl Clarke’s fried chicken and cocktail spot Chick N Sours comes to Hackney Central, and apothecary-inspired restaurant Tonic & Remedy (expects lots of herbs and botanicals) arrives in Hoxton. In May Russell Norman and Richard Beatty will open their sixth Polpo restaurant in Chelsea, joining branches of the Venetian small plates concept in Soho, Covent Garden, Smithfield and Notting Hill. It’s said that this will feel the most Venetian of the lot. Marylebone Basque restaurant Donostia will also expand this summer, with a site just across the road. The new restaurant will be called Lurra — which translates as land — and will be based on ingredients sourced from small Spanish farms in as direct a way as possible. Later in the year, barbecue, bourbon and music-focused group The Blues Kitchen will open a restaurant in Brixton adding to sites in Camden and Shoreditch. It’s expected in the autumn. We round-up London’s biggest food and drink news stories and the latest new and upcoming restaurant openings in this handy digest every Thursday afternoon. See our previous editions. The Best Food And Drink In London — recommendations of where to enjoy the capital’s top food and drink, categorised by cuisine, food type and more. New Restaurant Reviews — our views on London’s latest openings. More food and drink on Londonist.